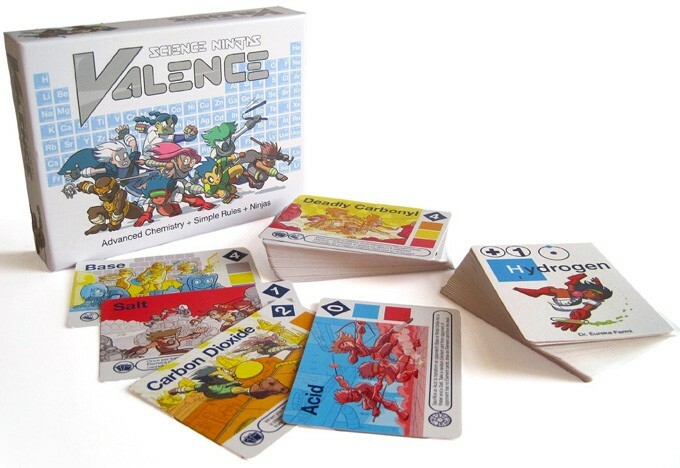 If your kids are too young for the lab, but you want to get across basic and advanced chemistry concepts, nothing beats Valence from Science Ninjas! It's all here -- from molecule formation, to acids and bases, to chemical reactions. 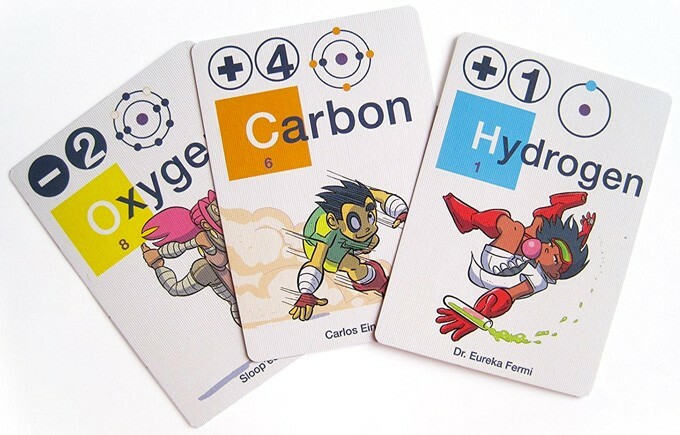 Weave together elements and create new molecules to earn points and win the card game! But beware, some combinations can yield unforeseen results. The cool part? All the interactions that occur in the game can and do occur in real-world science. This game for 2 to 4 players includes 86 sturdy linen-finish illustrated playing cards and an instruction book. An online video also provides an example of play to help kids get into the game! 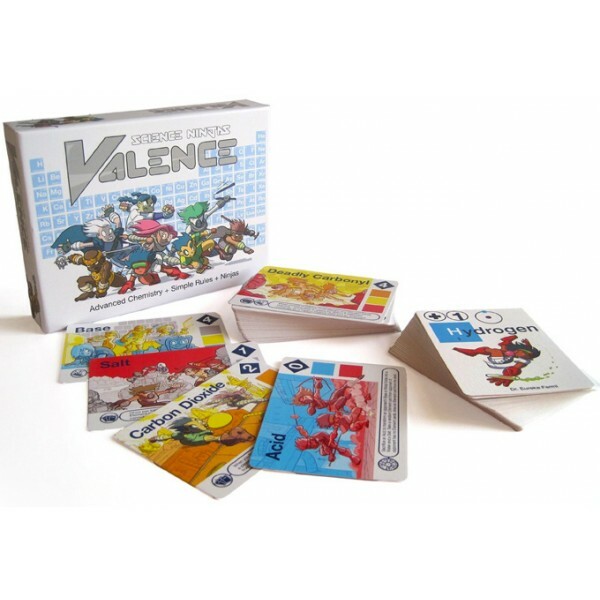 For an expanded version of this game with all-new artwork (and even more elemental ninjas to play!) 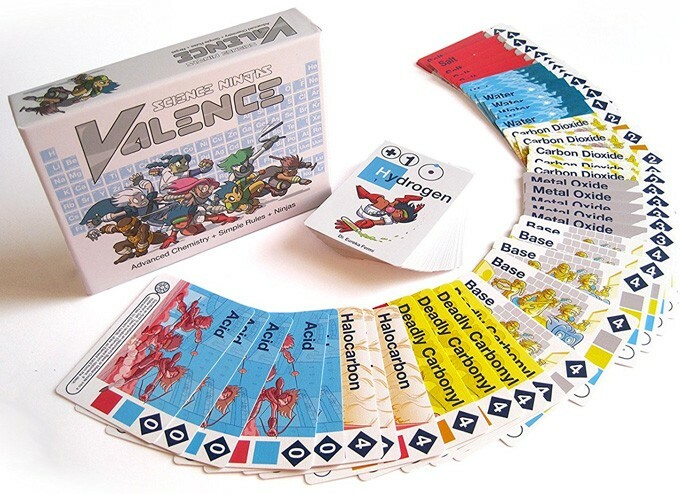 check out Science Ninjas: Valence Plus.